1 YRS Huizhou Boymay Cosmetics Co., Ltd.
We are confident that we will be able to meet and exceed your expectations . 7. Q: Are you a factory or trading company9 A: We are a factory with export license. New clients are expected to pay for the sample fee and the courier cost. 3 YRS Jiangsu Soho International Group Yangzhou Co., Ltd.
Wishing to be your long-term partner, please feel free to contact us, we will do our best for you. Our company regards "reasonable prices, efficient production time and good after- sales service" as our tenet. We hope to cooperate with more customers for mutual development and benefits. 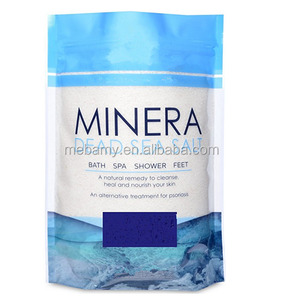 2.The bath salt can help your skin healthful , tender , smooth , elastic and removing the excess grease. 3.It also can help with your skin to leave far away from the melanin , become nature white with energetic. 4.It has the efficacies of inflammation relieving , odor eliminating etc protecting your health. 7 YRS Foshan Nanhai Xiqiao New West Hotel Necessities Co., Ltd.
We are looking forward to serving you, and we are confident that we can make the hotel more glorious! Q: We would like to have a look at a sample before we continue with the orders. Q : Do you charge for samples9 A: Samples of products can be provided on requests. 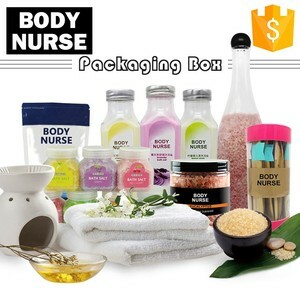 Packing Details Packaging & Delivery: Dackaging details: 48pcs per standard export carton Delivery details: 45 days after order confirmed FOB port: HuangPu, GuangZhou Payment Terms T/T 30% depoist in advance, balance against copt of B/L. Or L/C sight. 2. 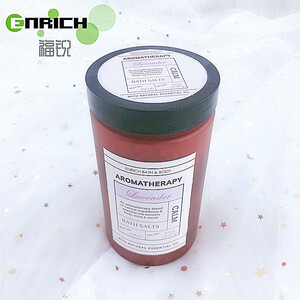 Q: How can I get some samples9 A: We are appreciated that new clients pay for the courier cost for free samples and this charge will be deducted once orders are released. 10 YRS Lifesun Industrial Co., Ltd.
and EU, we know very well about the FDA regulations and the EU regulations. and we have very professional team for the European PIF documentations and REACH regulations too. And for EU market, we know very well about EU regulations to get into the market. You may apply the Foot Bath Salts to the foot thick-skinned positions such as heels or soles, massage by using the circular motions for 3-5 minutes and wash it off with clean water. You may apply the Foot Bath Salts to the foot thick-skinned positions such as heels or soles, massage by using the circular motions for 3-5 minutes and wash it off with clean water. You may apply the Foot Bath Salts to the foot thick-skinned positions such as heels or soles, massage by using the circular motions for 3-5 minutes and wash it off with clean water. 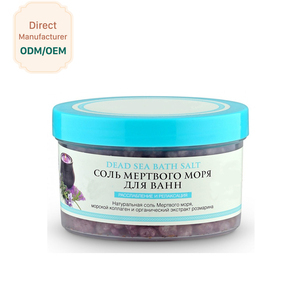 Alibaba.com offers 349 pure bath salt products. About 36% of these are bath salt, 18% are bath fizzies, and 1% are carving crafts. 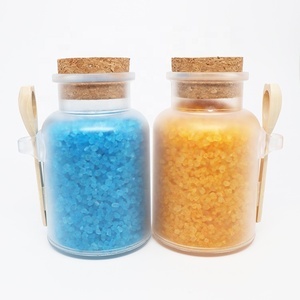 A wide variety of pure bath salt options are available to you, such as dead sea salt, epsom salt, and organic grey sea salt. You can also choose from herbal, mineral. As well as from body, foot. 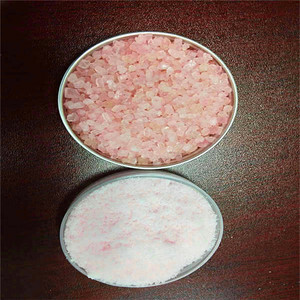 And whether pure bath salt is floral scent, or fruit scent. 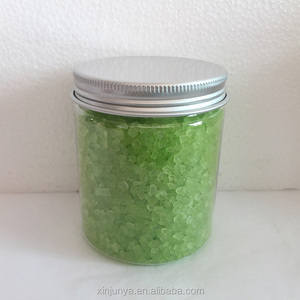 There are 349 pure bath salt suppliers, mainly located in Asia. 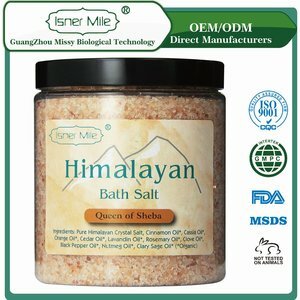 The top supplying country is China (Mainland), which supply 100% of pure bath salt respectively. 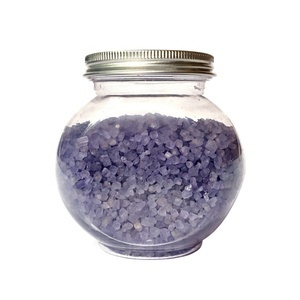 Pure bath salt products are most popular in Western Europe, North America, and Eastern Asia. You can ensure product safety by selecting from certified suppliers, including 76 with Other, 52 with GMP, and 36 with ISO9001 certification.